On Sept. 24 the Kremlin announced that Putin called Elton John. Russian President Vladimir Putin will not be able to meet with famous singer Elton John, who will be in Moscow on a tour at the beginning of next week, because their schedules do not coincide, Kremlin spokesman Dmitry Peskov told reporters on May 26. 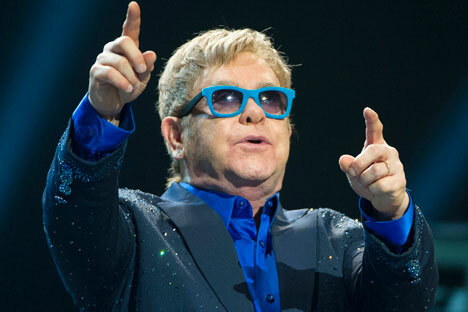 It was reported that Elton John would give a concert in Moscow on May 30. When asked whether the promised meeting between the popular singer and the Russian president would take place, Peskov said: "Yes, he [Elton John] and we exchanged messages a couple of weeks ago because, as you know, there was indeed an agreement that if their schedules allowed, such a meeting would be held, and President Putin expressed his readiness for it." "However, unfortunately, it will not happen this time. Unfortunately, their schedules do not coincide, but this does not mean that such a meeting may not take place next time," Peskov said.